GreySave holds two large fund raising social events a year. Come and join us with your greys. 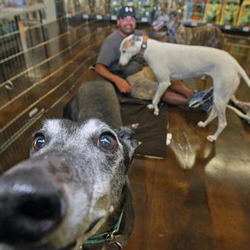 There are usually 200 to 300 people at these events and at least as many greyhounds. Both socials are different but both truly greyt and amazing. GreySave's fall event, Oktoberfest will be held on October 20th 2018 at Schabarum Regional Park, 17250 East Colima Road, Rowland Heights, CA 91748. 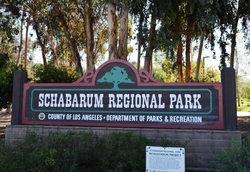 Schabarum Park is a well cared, beautiful LA City park with many different recreational areas. GreySave reserves the area near a pretty, white gazebo. For more information on the park please check out their website. Oktoberfest is one of GreySave's bi-annual fundraiser and always held in mid to late October. 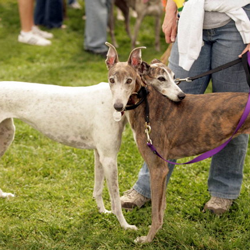 It is a greyt opportunity for the greyhounds and their families to get together and enjoy a greyhound centered fall festival. It features great German-themed food in a picnic setting. Besides the regular picnic events there is greyhound themed carnival, a costume challenge, raffles and grey auction items. *PLEASE NOTE: Registration for Oktoberfest is a 2-step process. Once you fill out the form, and click the 'submit your reservation' button at bottom, you will be redirected to another page where you can pay the event fee online securely via Paypal or credit card. Otherwise, you can send a check or pay at the event. 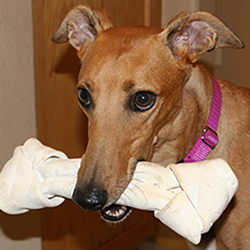 For both Race to the Park and Oktoberfest GreySave needs plenty of volunteers to help us pull off a greyt day! Specifically, if you can come early and help set up, stay late to help clear everything away and/or help with events during the day, sell raffle tickets, take greyt pictures, work in a carnival booth or make yummy deserts we would love to hear from you. This is a a fundraiser and takes quite a bit of planning and on site execution your help will enable one or our hardworking committee members to take a break and enjoy the day along with everyone else. 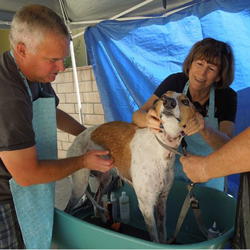 If you can help, please contact Judy our special events volunteer coordinator. We would really appreciate your help!